Light laser peels, Chemical peels and Microdermabrasion all have the same goal and that is to peel the most superficial layers of dead and old skin. This healthy “stressful” condition pushes the body into a state of self repair and regeneration allowing it to create new glowing skin. This healthy stress is not only seen in aesthetic medicine but everywhere in our body and nature. After all exercise is just a form of healthy stress that pushes our body to create healthy muscle fibers. As we grow older our skin goes through so many changes at different levels. Each change causes a certain type of visible effects. For example, when more cells are dying than those generated, new layers of dead skin start accumulating making our skin lose it normal glow. More dead cells means less water content and more dehydrated mat colored skin (figure:1). These changes can be focused in different layers in the skin. The more superficial changes are more seen as color/pigment abnormalities, deeper changes manifest in the shape of fine wrinkles and finally the volume loss is in the deepest layers given rise to deep skin folds. When choosing a treatment modality is is important the choose something that reflects the depth of damage. For example it doesn’t make sense to choose or expect good improvement in deep damage when using a modality known to target the most superficial layers, on the other hand it is too much to choose a modality that is deep and aggressive for some young with very superficial damage. Now we have discussed some principles, lets look at each modality with some detail. Microdermabrasion is a type of skin rejuvenation that uses a minimally abrasive instrument to gently exfoliate the skin to remove the outermost layer of thickened or uneven skin. It can stimulate collagen production which is essential to making your skin look smooth and plump. A microdermabrasion treatment takes approximately 30 minutes. A device with microcrystals will be used to exfoliate the outermost layer of the skin (epidermis) and stimulate new skin growth. A suction mechanism will also be used to whisk away the skin cells that are removed. Most patients say they experience a mild scratching sensation during the treatment. Following the treatment, your skin may appear red like a sunburn for a day. You can expect your skin to be dry and flaky for the next 2-3 days. You probably concluded from reading the introduction principles that Microdermabrasion is best suited for the most superficial damage like skin loosing its glow but also it is least expensive, has the least potential for side effects and and least amount of downtime . Microdermabrasion will not treat: scarring from acne, deep wrinkles, and definitely will not improve deep folds. We usually use it for clients interested in a nice skin refresher and exfoliation. It is often requested by our frequent clients who alternate between Microdermabrasion and Hydrafacial MD. Chemical peels have been a mainstay in the cosmetic medicine industry for well over a century. In the right hands, they can offer reliable results to improve skin concerns. Chemical peels are usually divided into three categories: light, medium and deep peels. Light: These peels use agents with low concentrations of TCA, glycolic acid and Jessner’s solutions to remove the outer most layer of the skin (epidermis). These are best for skin maintenance as they do not penetrate very deeply and can be done every two to four weeks for best results. They can help fade very minor hyperpigmentation of the skin. Downtime is usually 3-7 days. Some light peels only require avoidance of the sun and a good moisturizer. Medium: These peels use higher concentrations of the above agents. Medium peels penetrate deeper and can help decrease the appearance of more stubborn pigmentation and signs of aging than a light peel. They are associated with longer healing and downtimes, typically 7-14 days. These peels can be repeated every six to twelve months if necessary. Deep: Deep peels use a strong chemical called phenol. This chemical can penetrate down to the dermis and often requires some type of local anesthetic or sedative to manage discomfort during treatment. These peels can produce long lasting results, up to ten years. Deep peels are associated with the highest risk of skin discoloration and scarring. These peels should only be performed by an experienced provider. Most people can return to normal activities after two weeks but your skin may remain red for up to a month. Use of hormonal medications (i.e. birth control pills) or family history of brown discoloration of the skin can increase your chances of developing abnormal pigmentation changes. If you have a history of cold sores (herpes virus), a chemical peel may trigger an outbreak. Be sure to tell your provider so they can prescribe you an anti-viral which will help to avoid an outbreak. Chemical peels are not recommended if you are pregnant or breast feeding. The cost of chemical peels will depend on the depth of the peel. Light peels can be comparable to cost and results of microdermabrasion. Medium to deep peels are costlier but also more effective at treating skin concerns than that of Microdermabrasion or a light peel. Laser skin resurfacing, such as NanoLaser Peel and MicroLaser Peel, can reduce facial wrinkles, scars and pigmentation irregularities with a precision that cannot be found with treatments like microdermabrasion or chemical peels. The NanoLaser/MicroLaser Peel can instantly remove the layers of the epidermis using light energy rather than chemicals or harsh abrasives. The laser offers precision to remove the layers to the exact preferred depth. Microdermabrasion and chemical peels are often unable to reach the depth safely that the NanoLaser Peel can achieve. A topical numbing cream will be applied for 20 minutes prior to the treatment to help reduce discomfort. Depending on the size of the area being treated, most sessions take about 30 minutes. 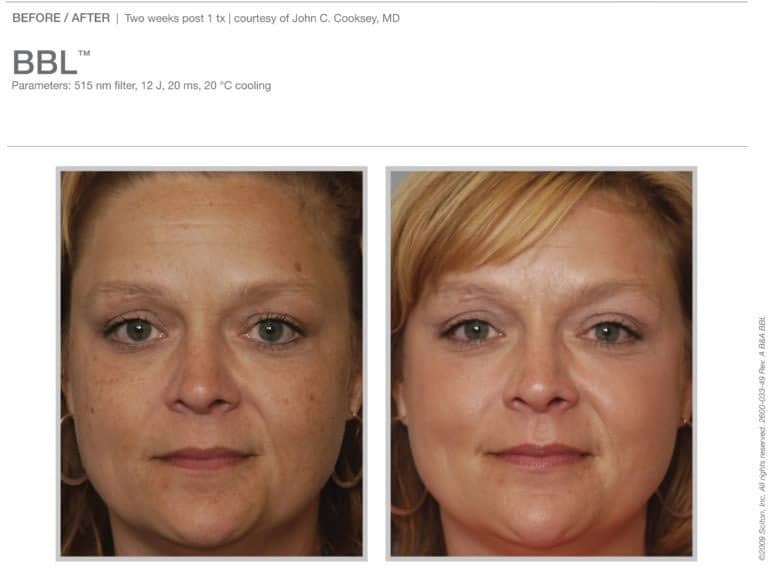 My patients described the sensation of the laser as warm and mild burning, like a sunburn. Down time depends on the microns or depth of treatment. A NanoLaser Peel can remove up to 20 microns of skin and take about a week to heal. Days 1-3 usually results in skin redness. I recommend that my patients use an emollient balm, such as Skinceuticals HydraBalm, multiple times throughout the day. On days 4-7, the skin is still mildy red and will begin to flake and peel. Most patients return to work and normal activities after the first 3 days. A MicroLaser Peel removes more than 20 microns of skin and has a longer down time which directly relates to the depth of treatment. Cost of laser peels vary depending on the depth of treatment. So…. Which option is best? A NanoLaser Peel can be more effective than a chemical peel because the laser not only removes the outer most layers of the skin, it also heats up the epidermis. This heat stimulates collagen production in the dermal layers which plumps up the skin and reduces the appearance of fine lines and wrinkles over time. The heat also results in a tightening effect of the skin in the days after the treatment which will continue to improve for 4-6 months after the treatment. You will see short and long term improvements in your skin after a NanoLaser Peel. Chemical peels and microdermabrasion do not use heat and are only able to scratch the surface of the epidermis which accounts for their significantly less cost and temporary results when comparted to a NanoLaser Peel. If you are interested in rejuvenating the look of your skin, there are options for you! At NOVA Plastic Surgery, we would love to sit down and discuss your skin concerns and goals during a complementary consultation. I wanted to thank you for a very positive experience, re: carpal tunnel release surgery 11/19/10. You and the entire medical staff were friendly and pleasant, and I was amazed at how quick the whole experience was. I liked the fact that I had local rather than general anasthesia; I was very comfortable during and after surgery. I would highly recommend you to patients needing hand surgery, in fact, this is the most pleasant surgery I’ve had thus far!